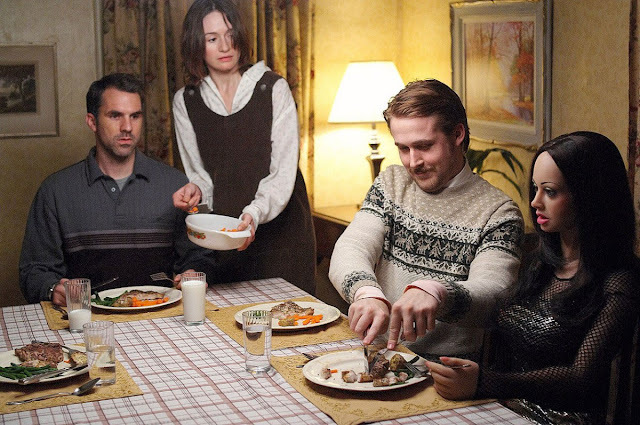 Lars and the Real Girl (Craig Gillespie, 2007) - An extremely fragile and shy Lars (Ryan Gosling) finds it impossible to socialise with even his family. Living alone in his brother's (Paul Schneider) converted garage, his sister-in-law (Emily Mortimer) worries about his exclusion from the outside world. Much to her surprise, Lars announces an online girlfriend, a life-size 'real doll' named Bianca. Taking the advice of a doctor (Patricia Clarkson), his family and the rest of the community go along with his delusion in the hopes Lars will find real happiness. If you ever had any doubts about Gosling's acting ability, this is just one example showcasing his outstanding method performances. At times, this film is both hilarious and equally heartbreaking but, ultimately, it is a tale of a town who learn to embrace Lars and support him in overcoming his mental illness - love and acceptance. Well worth a watch if you haven't seen it already. 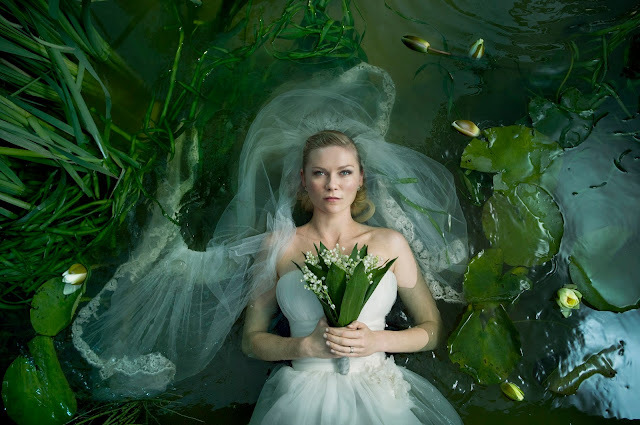 Melancholia (Lars Von Trier, 2011) - Consumed by her depression, Justine (Kristen Dunst) sabotages her own wedding night and descends into a state of melancholy whereby she cannot bathe or eat without an overwhelming taste of ash. However, when a giant ball of gas threatens to collide with Earth, the world is naturally in a state of panic but Justine begins to find peace. Melancholia is not the first film by Lars Von Trier which showcases mental illness and it's worth seeing this alongside Antichrist (2009) and Nymphomaniac (2013) - which also feature similar themes. The film itself paints a very realistic portrayal of depression and how peace can sometimes be found amongst chaos. In true Von Trier style, the film is naturally strange and surreal but is visually stunning. Dunst delivers a stellar performance which is well worth seeing with your own eyes. 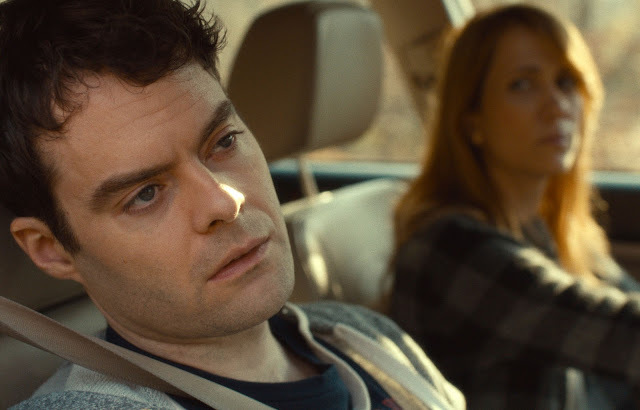 The Skeleton Twins (Craig Johnson, 2014) - Having both coincidentally attempted suicide on the same day, estranged twins Milo (Bill Hader) and Maggie (Kristen Wiig) reunite in the hopes of mending their shattered relationship. Despite it's ultimately depressing subject matter, The Skeleton Twins has an endearing darkness with two lovable yet unlikable, dysfunctional characters who just can't seem to stop getting in their own way. Both performances from Hader and Wiig (both known for being masters of comedy) are fantastic and one of the most prominent successes of the film. It also features one of my all time favourite film moments with in the 'Nothing's Gonna Stop Us Now' lip sync scene. The film is now available to watch on UK Netflix so please, please do give it a watch if you get the chance. Cake (Daniel Barnz, 2009) - Claire (Jennifer Anniston) is an L.A women attending a support group following a life-changing car accident. Consumed by her chronic back pain and tragic loss, Claire is bitter, broken and chomps on pain killers like they are tic-tacs. Following the suicide of one of her support group members (Anna Kendrick), Claire becomes obsessed with her ghost and forms an unlikely relationship with her widower, Roy (Sam Worthington). Whilst Claire suffers with physical pain, she is also haunted by her memories and is unable to move past them. Aniston gives a great performance as Claire - unlike you've seen her before and forever proving her versatility as an actress. Cake is a gritty yet entertaining narrative in which a snappy, depressed woman finds closure. Girl, Interrupted (James Mangold, 1999) - Set in the the late 1960s, Girl, Interrupted is based on the true story of Susanna Kaysen (Winona Ryder) as she finds herself at a mental institution for troubled young women. Here, she meets Lisa (Angelina Jolie) - a chronic resident at the hospital considered a sociopath with manipulative and rebellious tendencies. Throughout the film, we constantly question whether Susanna (Ryder) is actually suffering from a mental illness or whether she is just dealing poorly with certain aspects of her life. Her character is wonderfully juxa-positioned against that of Lisa (Jolie) - who avoids seeking help for her condition and is entirely lost within her illness. 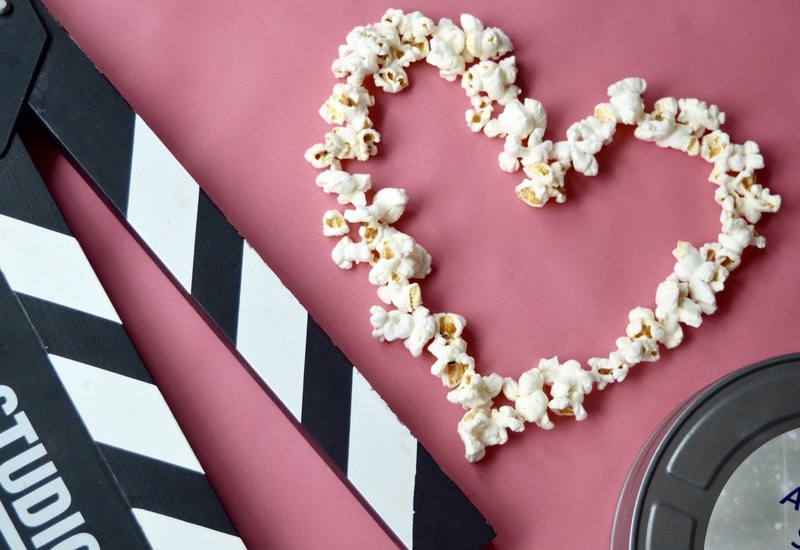 The film itself has a huge cult following due to its beautiful direction and stunning cast which saw Jolie take home the Oscar for Best Supporting Actress. Black Swan (Darren Aronofsky, 2010) - Nina Sayers (Natalie Portman) is a professional ballerina who lands the leading role in Swan Lake. Despite her success, her need to be 'perfect' means she is constantly battling with her chronic anxiety*, leading to hallucinations and psychotic episodes. 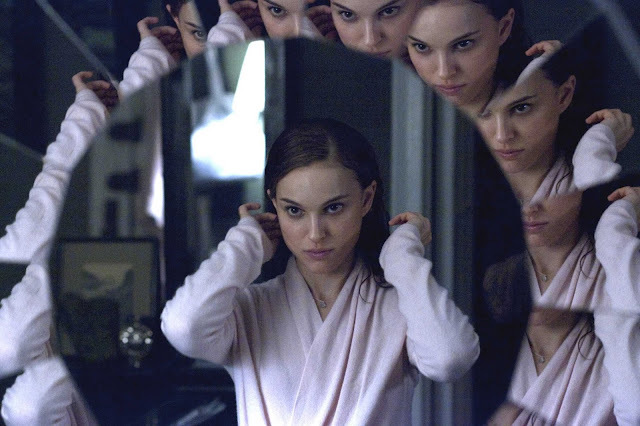 Black Swan highlights many various mental disorders and also brings to light the issue of eating disorders which have been rarely depicted on film. In showing Nina's fears and anxiety through both metaphorical and physical images for the audience, they are able to fully understand her chaotic state of mind which consumes her life and eventually destroys her relationships. Beautifully directed and made with stunning cinematography, Black Swan is easily a 5 star film worth seeing. 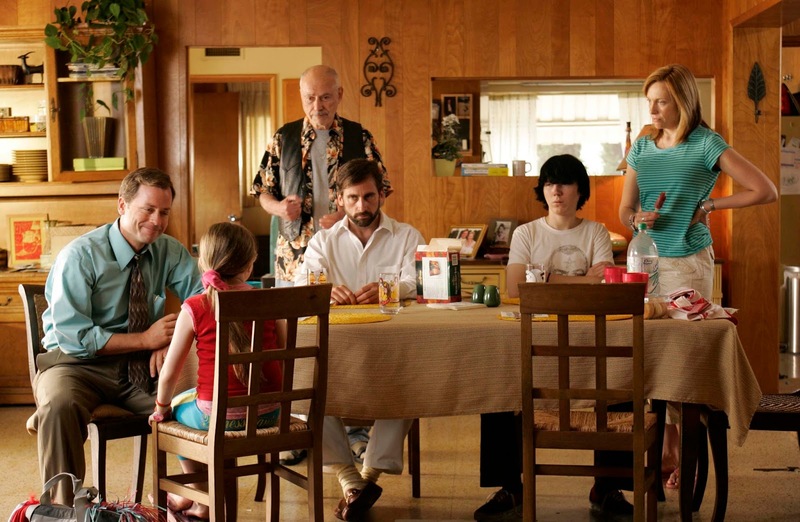 Little Miss Sunshine (Jonathan Dayton, Valerie Faris, 2006) - The Hoovers are a stress fuelled, dysfunctional family. Father, Richard (Greg Kinear) is desperately trying to get his business venture off the ground with little success; Uncle Frank (Steve Carell) is a shamed professor whose recent failed suicide sees him living back with his sister and brother, Dwayne (Paul Dano), is a mute. However, when seven-year-old Olive (Abigail Breslin) is invited to compete in the "Little Miss Sunshine" pageant in far-off California, the family decides to put their squabbles aside and set out on a road trip in support their daughter. Opening to Frank (Carrell) in the hospital following a suicide attempt, Little Miss Sunshine does well to explore the themes of depression and suicide. However, unlike some narratives where it might dominate the film, it does so in a way that maintains Frank's dignity and shows him to be functional and intelligent person going through a tough time. Whilst the film was sold as a sharp, dry-humoured comedy, it also features some deeply moving scenes which say a lot about humanity and the human condition - carried out by a phenomenal cast. I cannot recommend this film enough and it is impossible not to laugh (and maybe even cry) at this fantastic narrative about family and the importance of being weird. 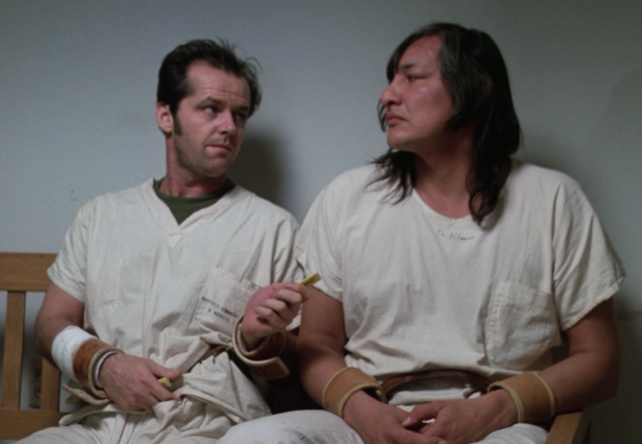 One Flew Over the Cuckoo's Nest (Miloš Forman, 1975) - Mac (Jack Nicholson) is a convicted criminal, transferred from prison to a mental institution for psychiatric evaluation. Having assumed the new environment will be a breeze, Mac is not too concerned about the move until he meets Nurse Ratched (Louise Fletcher) - an abusive member of staff who controls the ward through repressive medication and sessions of electroconvulsive therapy. It may seem like an obvious one for the list but it's a valid one all the same. Having maintained its spot as one of the greatest films of all time, One Flew Over the Cuckoo's Nest is actually deemed to be “culturally, historically, and aesthetically significant” by the United States Library of Congress and was selected to be preserved by the National Film Registry due to its powerful and realistic representations. Besides its moving message and social context, Jack Nicholson also offers an incredibly memorable performance which saw him take home the Oscar for Best Actor in a Leading Role, alongside Forman's Best Director. Silver Linings Playbook (David O. Russell, 2012) - An adaptation of the Matthew Quick novel of the same name, the film follows Pat (Bradley Cooper) as a man suffering from bipolar disorder. Having been released from a psychiatric hospital, Pat finds himself living with his parents and separated from his wife. Feeling bitter at his wife's ease at moving on, Pat seeks a relationship with Tiffany (Jennifer Lawrence) who is struggling to come to terms with the loss of her husband. Whilst Pat may not always be portrayed in the most flattering of ways, Silver Linings Playbook is said to be an accurate representation of someone living with bipolar disorder. Being directed by David O. Russell, there is also a great amount of gallows humour throughout the film which makes for a charming and endearing narrative. Ultimately, it is a story of the human condition and how two people, despite their grief, can come together and find peace in the flaws of others. Also, how amazing are Jennifer Lawrence and Cooper in this, though? A Beautiful Mind (Ron Howard, 2001) - Based on true events and the biography by Sylvia Nasar of the same name, A Beautiful Mind follows the life of famed mathematician and genius, John Nash (Russell Crowe). Following a ground-breaking discovery early in his career, Nash soon finds himself on a painful and harrowing journey when he develops paranoid schizophrenia. 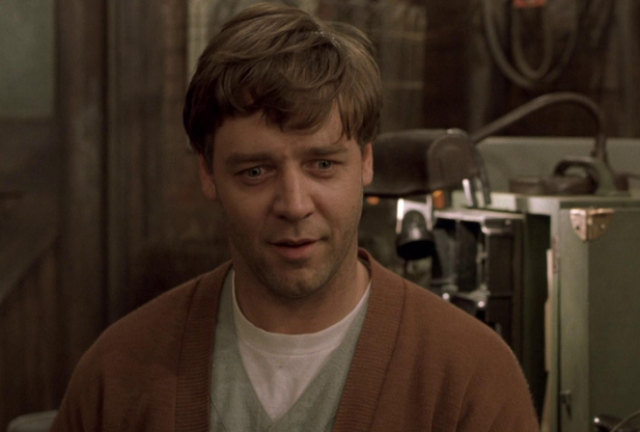 Arguably, A Beautiful Mind is an accurate take on the mental illness for many reasons. Whilst John's character is very much a genius and somewhat of an arrogant character, he is ultimately relatable. Furthermore, as his illness takes hold, John is in no way negatively portrayed - something which is sometimes rare when exploring such a subject matter. The film features several moving and devastating scenes as his relationships crumble around him as a direct result of mental illness and, much like John, we feel powerless to help him. A wonderfully directed film, with fantastic acting which shows a great level of sympathy and understanding. 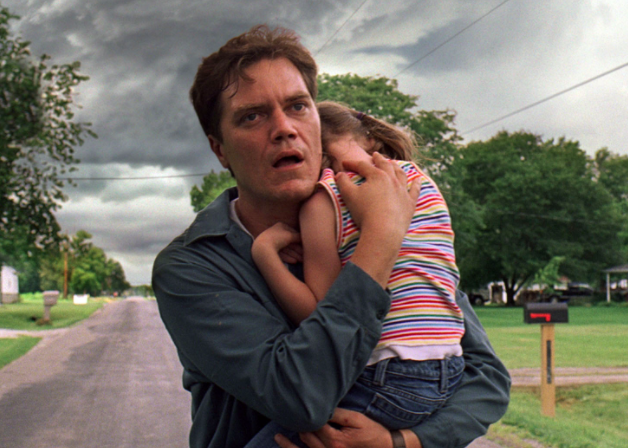 Take Shelter (Jeff Nichols, 2011) - Curtis LaForche (Michael Shannon) lives a quaint life within a small town. He lives with his loving wife (Jessica Chastain) and hearing-impaired daughter (Tova Stewart) and, despite their money woes, they are a happy family. However, when Curtis begins experiencing horrific nightmares about the apocalypse, his strange behaviour and obsession to build a bomb shelter causes tension in his marriage and the community. Probably a lesser known and underrated film is Take Shelter. One thing in particular I love about this film is that it avoids the use of stereotypes when tackling mental health. Instead, it focusses itself on solid acting performances to tell a man's story. Acted beautifully by Michael Shannon, the film explores Curtis’ paranoid schizophrenia whilst also demonstrating the importance of exploring the context of delusional belief. Jessica Chastain also delivers a fantastic performance making this one excellent and highly underrated movie. The Babadook (Jennifer Kent, 2014) - Seven years after the tragic death of her husband, Amelia (Essie Davis) is struggling to cope with life as a single mother to a child with severe behavioural problems. Son, Samuel (Noah Wiseman), is aggressive and suspended in his thoughts of story-time, magic tricks and monsters. When a mysterious and disturbing children's book appears on the shelf, Amelia battles with her son's fear of a monster, "The Babadook", lurking in the house but soon discovers a sinister presence hovering over her. For me, The Babadook is arguably one of the first horror titles which to actively addresses depression in females and mothers. 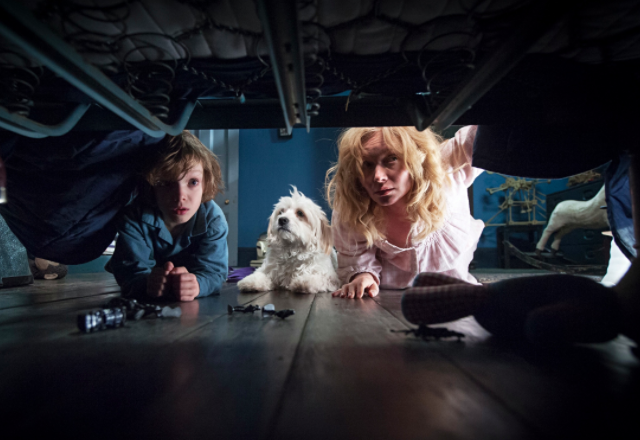 The Babadook 'monster' itself is quite simply the personification of Amelia's grief and anxiety as a single parent who has lost her husband and is struggling to deal with a difficult child. She is haunted by loss and filled with angst due to battling her own thoughts. An outstanding piece of modern horror with a great deal of depth and understanding - read my full of the film review here. Well, that's it for another film review. I've always been a firm believer in escapism through film and that it can provide great comfort in times of need. Tell me, have you seen any of the films above? Do you feel they've helped you when exploring the mental wellbeing of yourself or those around you? And if you're suffering with depression or mental illness, always remember that there are people who care and willing to listen and never to be ashamed to seek support and guidance. *Disclaimer: This post was a collaborative piece with Better Health. Always, all opinions are my own and do not reflect that of the brand. This is a wonderful list and I agree with all the ones I've seen, which is all of them apart from two. I'm currently in the process of writing a post about mental illness portrayal in TV series and how different and behind they are from films. This has only concreted that fact for me, that films are much more ahead of accurately portraying mental illness and bringing awareness to an audience, instead of romanticising or glamorising it. So thank you, as always these reviews are articulate and wonderful and I think the films you have chosen are really important! Wow some great films on this list! So many I need to go and watch. As the person above said, A Long Way Down is also a brilliant film! You have wonderful insight into these films and it shows in your writing, Sophie! It makes me want to rewatch a bunch of them. I'd probably start with von Trier's Antichrist just to see the wild interactions between Willem Dafoe and Charlotte Gainsbourg again. I haven't seen the ones with Kristen Wiig and Jennifer Aniston. I also haven't seen A Long Way Down so I'll have to see that because I'm also a fan of Toni Collette. Do you think her character Muriel/Mariel in Muriel's Wedding suffered from depression? These are all such great film choices some I've actually not watched! Soo many brilliant titles here. Always good to address the serious subjects in an easy to portray way. Silver Linings Playbook is one of my faves. I haven't seen The Skeleton Twins so will catch that on Netflix this week! Great post Sophie!